Rent inclusive of utilities bills up to $200 monthly utility bill. Subsequent bills are split evenly. NO agent fees/commission required. No landlord. Fully furnished with aircon, Queensize bed with wardrobe and chair. Free hi-speed wireless internet. Good location! Access to condo swimming pool, gym, function room & BBQ pits. 7 mins walk to AMK Hub's cinema, karaoke, cafe and more! Around 35 mins away from Bugis, City Hall, Raffles Place, Promenade, Dhoby Gaut. Grandeur 8 is a resort condominium located in the heart of Ang Mo Kio Town Centre. 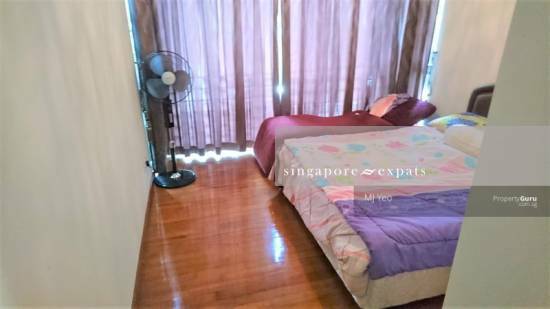 It is about 5 minutes walk to the Ang Mo Kio MRT Station and Ang Mo Kio Bus Interchange. Many amenities can be found in the Ang Mo Kio Town Centre which consists of library, supermarkets, hawker centre, fast food restaurants, polyclinic, cinema, Library and many other shops.